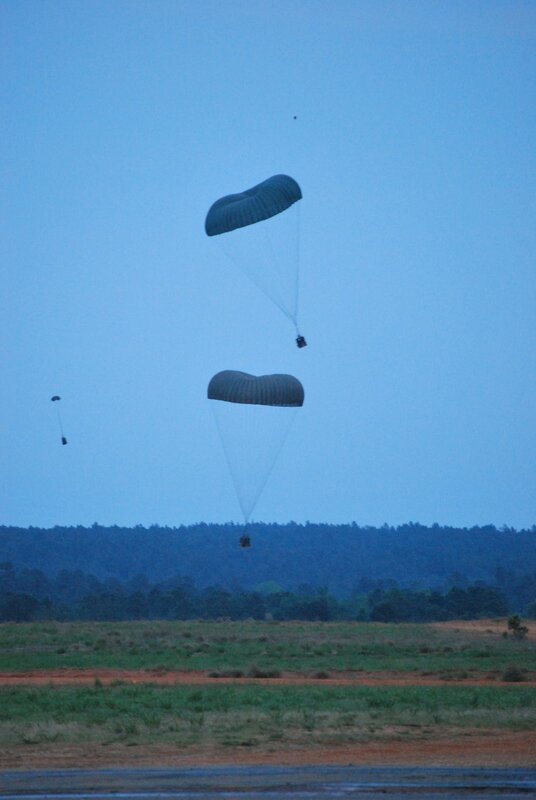 Tonight we ventured out to see a night jump with a “heavy drop” – well the heavy was really rather light, but the night jump was lots of fun to watch. Kristen’s friend called to let us know her hubby was jumping tonight and that was exactly what we had hoped to see but did not think it would happen. So after Christy called we made plans to go out and watch. 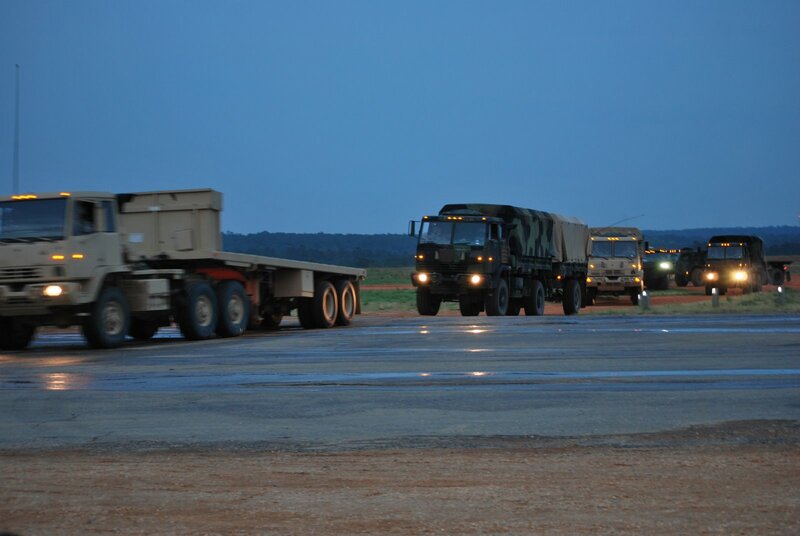 The boys loved seeing soldiers standing around – the vehicles driving around – it was really little boy heaven! Did I mention Christy even brought a soccer ball? What could be better! So we watched a fly-by first, then the planes came back for the drop and the heavy drop ended up being a few boxes of something – nothing too exciting. 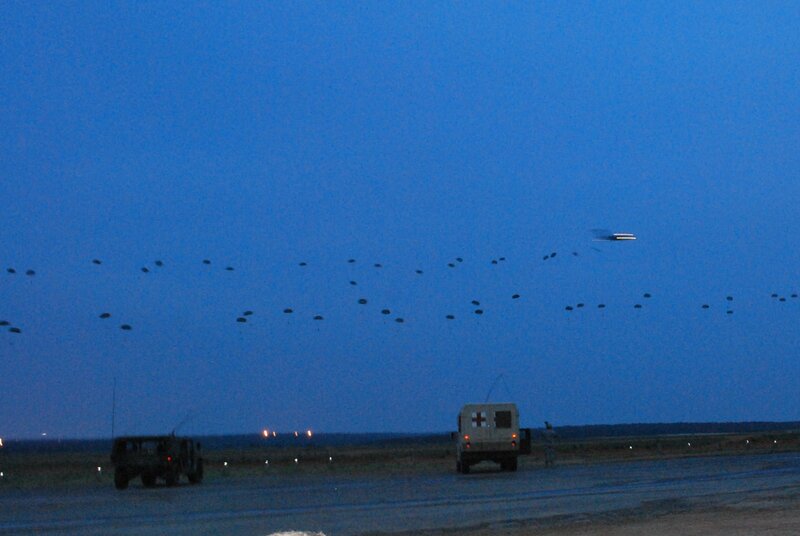 Then the planes flew by again for a dry run and then they came back and started dropping lots of soldiers. It was lots of fun to watch and listen to stories from James, Kristen and Robert about jumping out of planes, I do not get to participate in those discussions since I am not Airborne I am Air Assault instead. Oh well. 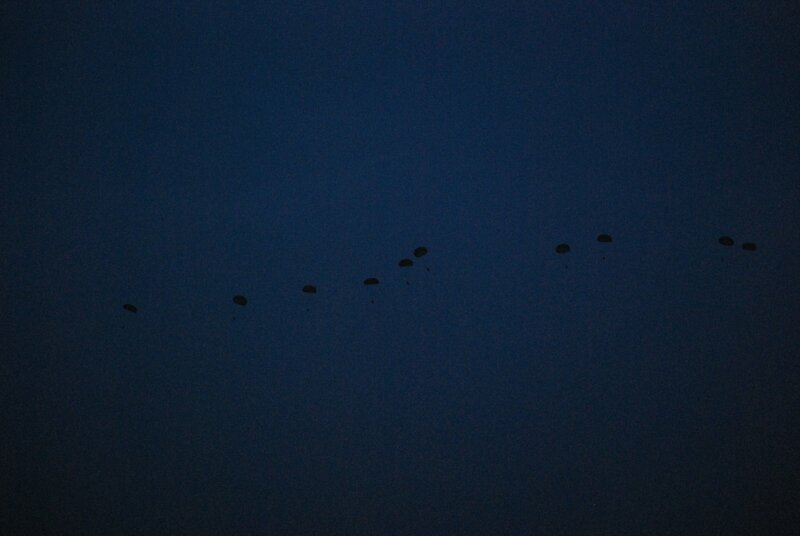 It was starting to get dark here – but there are lots of parachutes in the sky if you look at the right angle! 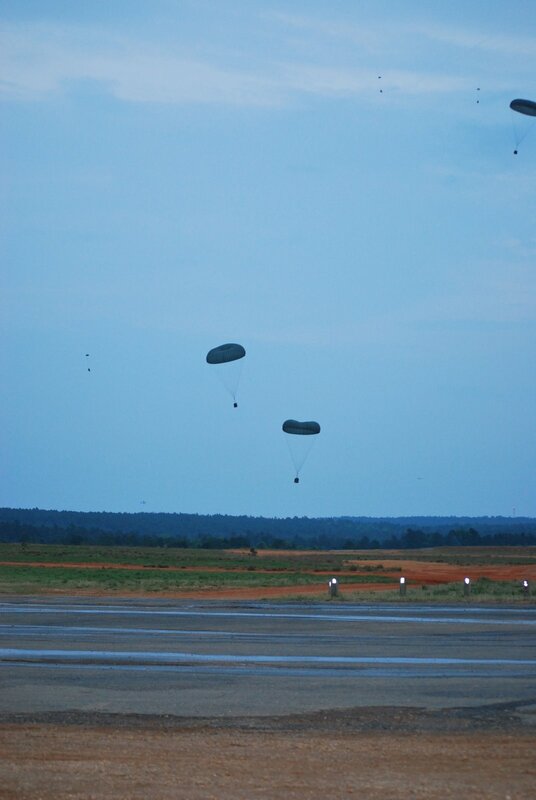 More parachutes – but a little blury – still a sight! 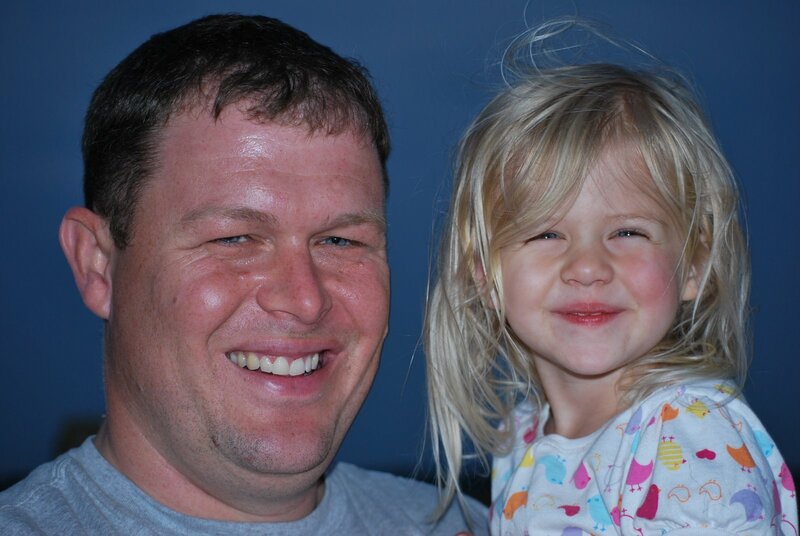 Daddy and his happy little princess. 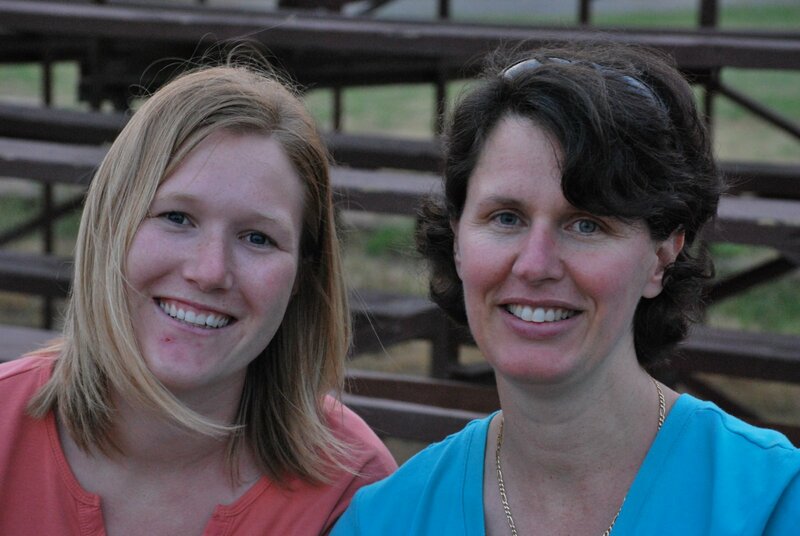 Here are Kristen and Christy – we are sure thankful for her tip about tonight!! 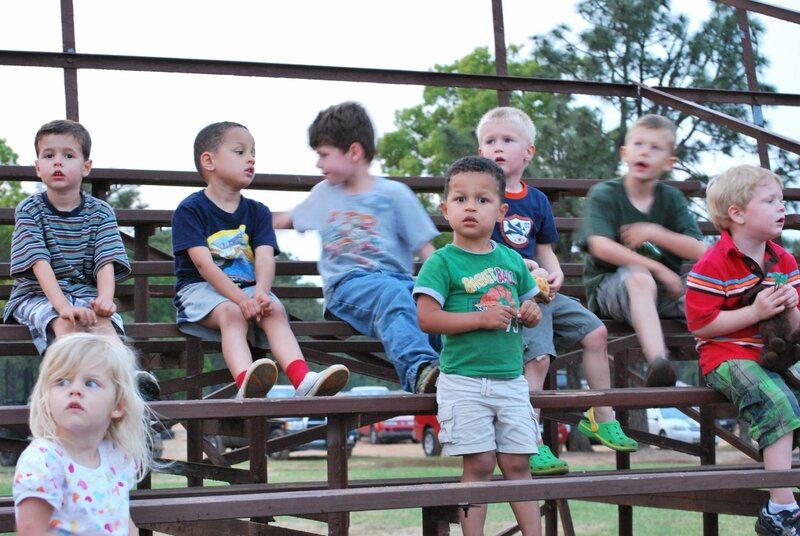 Here are the kids getting excited about the incoming planes – waiting patiently in the stands! Previous Boys, Boys everywhere – with the occasional girl!